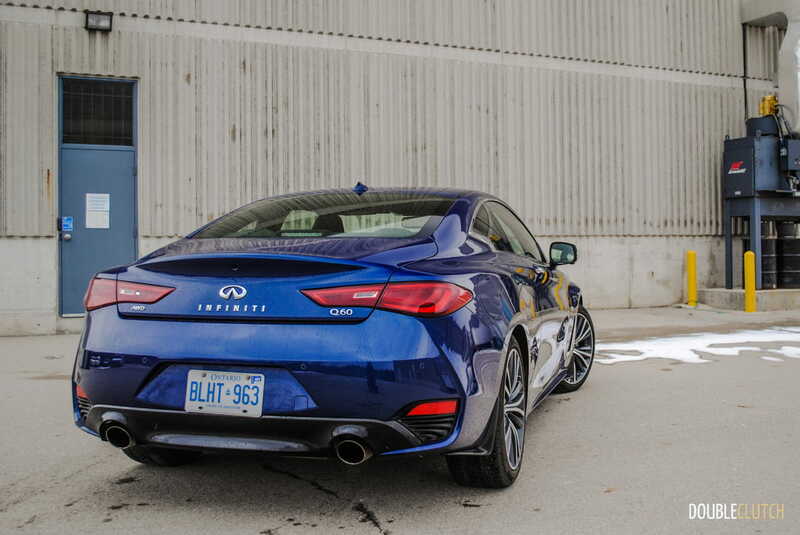 It’s also worth mentioning that the Q60 comes strictly in all-wheel-drive guise here in Canada. 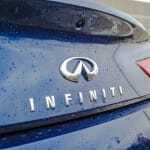 There was some magic happening at Infiniti back in the early 2000s. 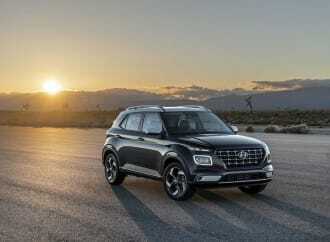 The FX35 made big waves in the SUV market, and the G35 made even bigger waves in the sporty segment. Fresh styling, a powerful and wonderful sounding V6, and a palatable price made it an instant success; a car that I still enjoy seeing on the road today. 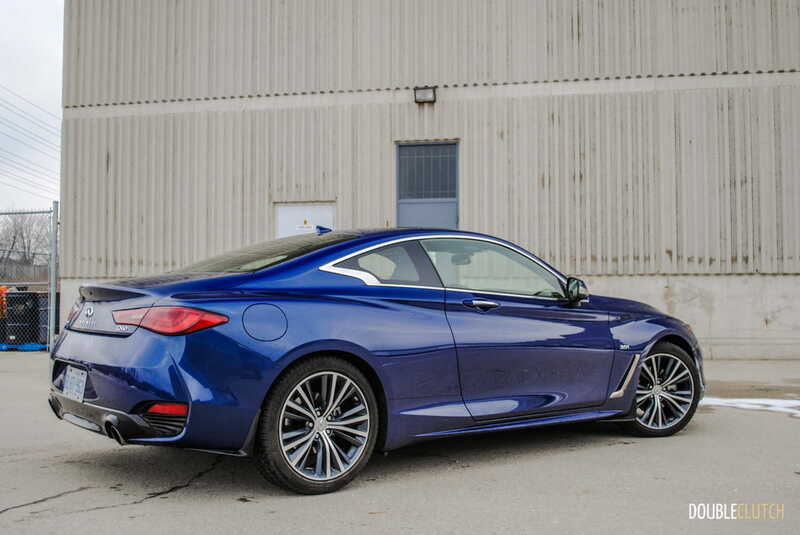 Now though, comes this all-new 2017 Infiniti Q60 3.0t, a very edgy looking and modern take on that same great formula. 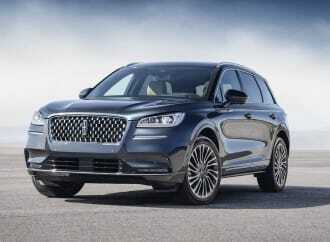 I spent a week commuting in one to see if it was everything I’d hoped it would be. 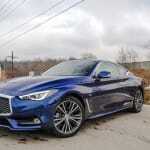 Firstly, the Q60 comes in three very different flavours, starting with a fairly pedestrian 2.0L 4-cylinder. 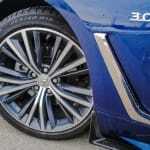 A well-equipped twin-turbo 3.0L V6 with 300 horsepower powers my tester, and a true performance model known as the “Red Sport 400” with the same twin-turbo V6 now boosted to 400 horsepower tops the lineup, along with a slew of brake and chassis performance upgrades. Given that the Q60 is more of a grand tourer than an all-out sports car, it’s an excellent daily driver. 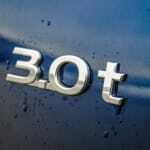 This 300 horsepower version with the mildly boosted 3.0L is the sweet spot for me. 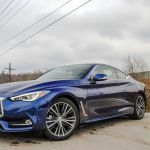 Now, there are some significant price differences between the models, with the basic four-cylinder car starting at $45,990, the V6 at $52,990 and the Red Sport at a pricey $60,990. 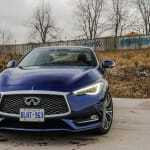 It’s not exactly as affordable as I recall the G35 being, but each model does come very well equipped, and the only option on my car was the Driver’s Assist package. 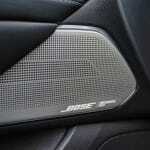 Adding $2,000, this package pushes the as-tested price to nearly $55,000. 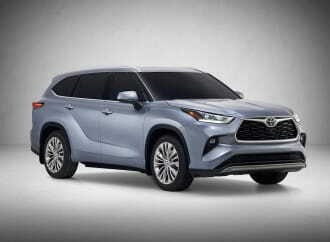 The package adds rain sensing wipers, forward collision, rear cross-traffic and blind spot warnings, and upgrades the cameras to include a 360-degree view. Like most modern sports cars, visibility while parking isn’t the greatest and the extra camera views really do help. 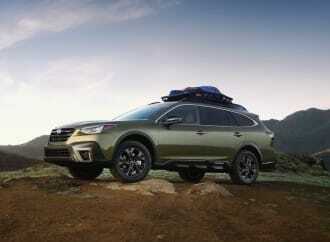 The only other package available is a $3,200 Tech package which upgrades to auto-leveling headlamps, adaptive cruise control, and a few other luxuries. It’s worth noting that my $55,000 test car not having adaptive cruise control, a feature that’s making its way into significantly cheaper cars such as the Chevrolet Malibu tested the week prior, is a bit of a letdown. 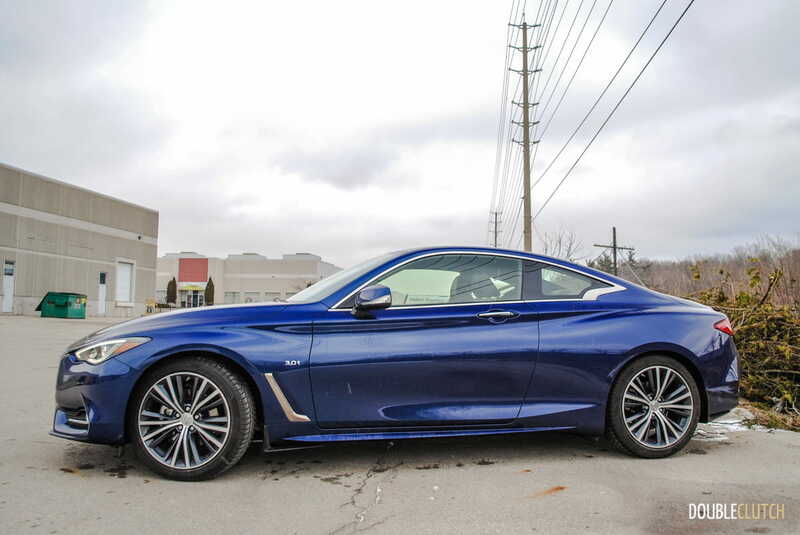 What you do get for your hard-earned money is a coupe that is absolutely fantastic to look at. The proportions are right on, the lines flow well, and it stands out from the crowd while still maintaining a link to its lineage. 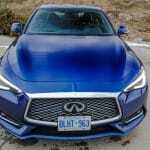 One look at this car and it’s clear that you’re looking at something that’s a little bit special, and the amount of stares my Electric Indigo Blue test car got prove that it’s a difficult car to ignore. 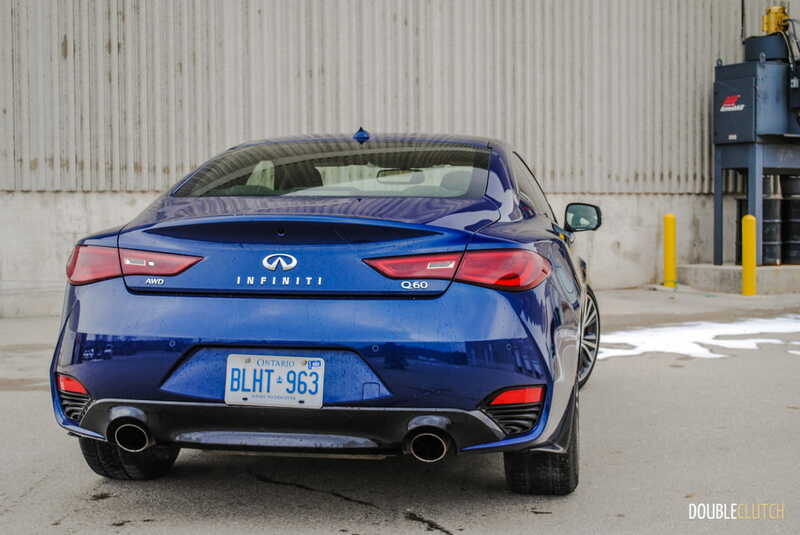 My only gripe is the thick band of polished aluminum around the rear quarter windows; I find it a bit distracting from the otherwise really clean lines. 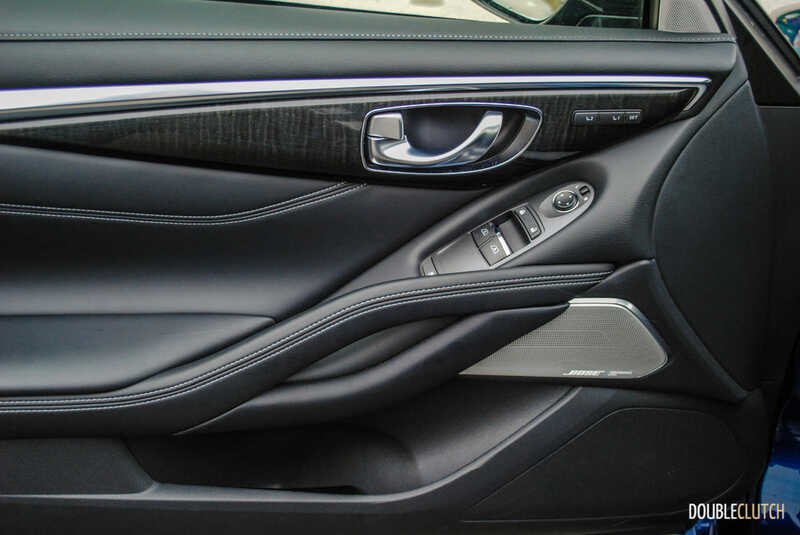 The interior is a good looking place as well, with a heavily sculpted dash, door panels and seats that bring the flowing lines of the exterior inside as well. 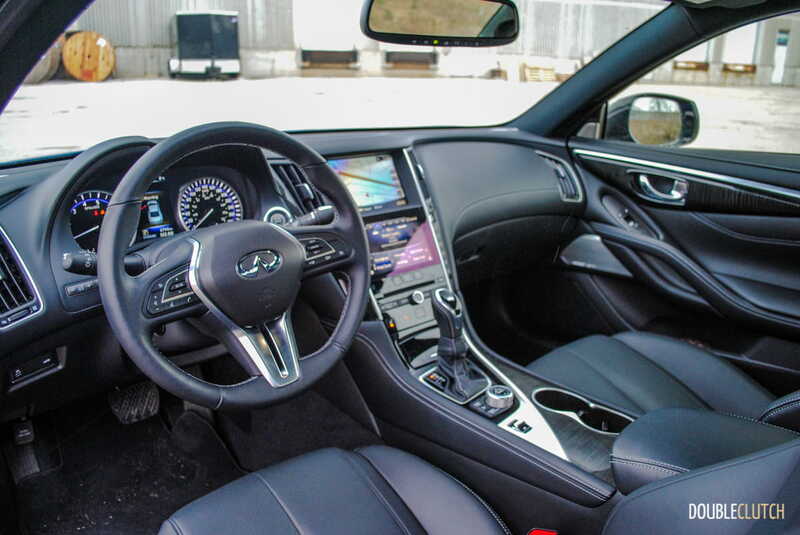 Infiniti has done a great job making sure that everything you touch inside the car feels great as well. 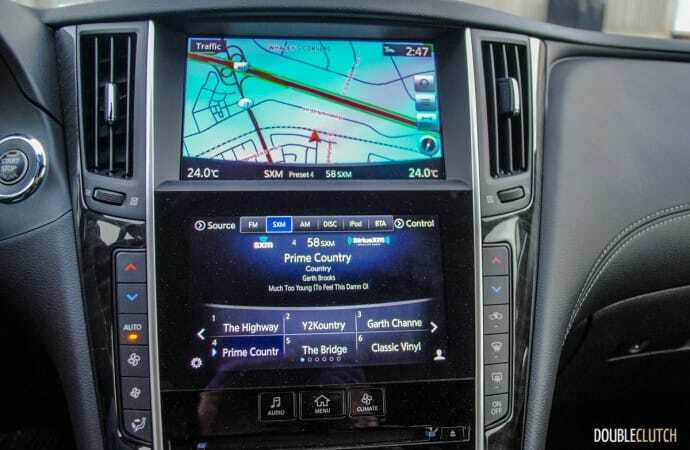 The gauge cluster and its LCD screen is easy on the eyes and displays information well, and the infotainment is actually very easy to navigate and use. Speaking of navigation, the map is basically always on the top screen, but the really great part is that Infiniti has the controls to navigate the map nailed down perfectly. 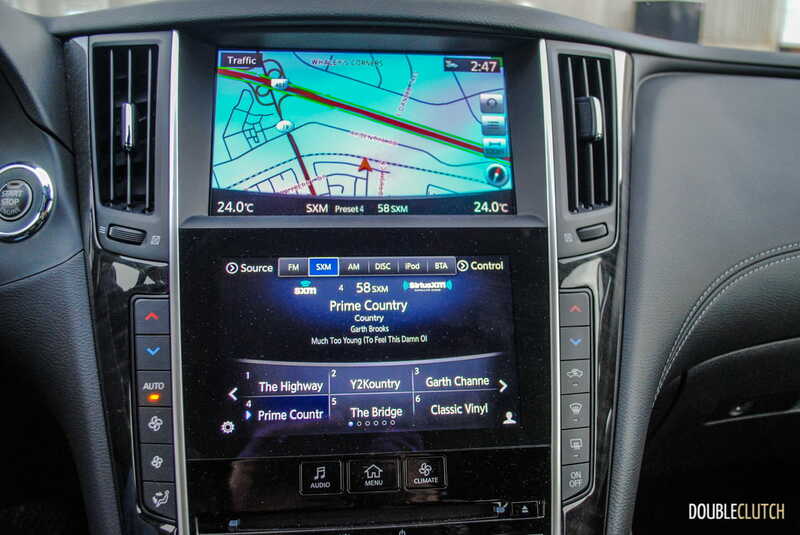 There’s a knob on the centre console and with that you can easily adjust the map – so simple, yet so few manufacturers get it right. 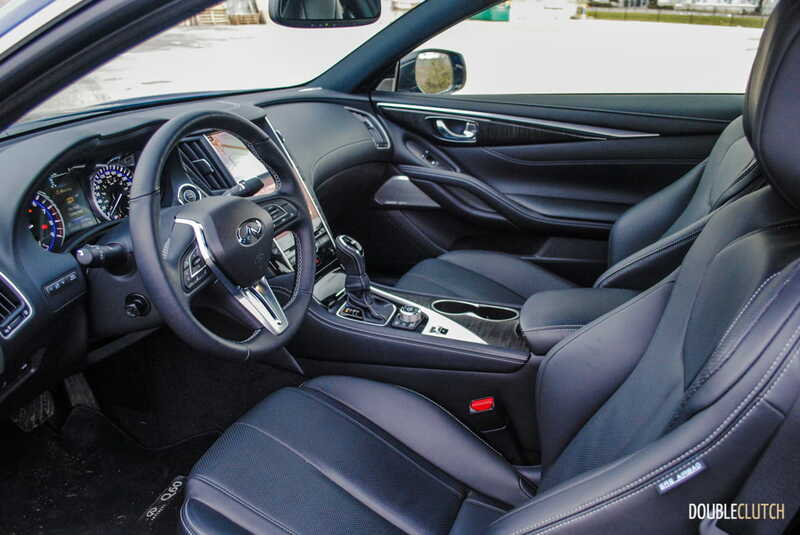 After driving the Q60 all week though, I came to notice a few interior issues that made the car a little less than perfect for my daily needs. 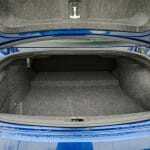 Firstly, there is very little space up front to store day-to-day items. 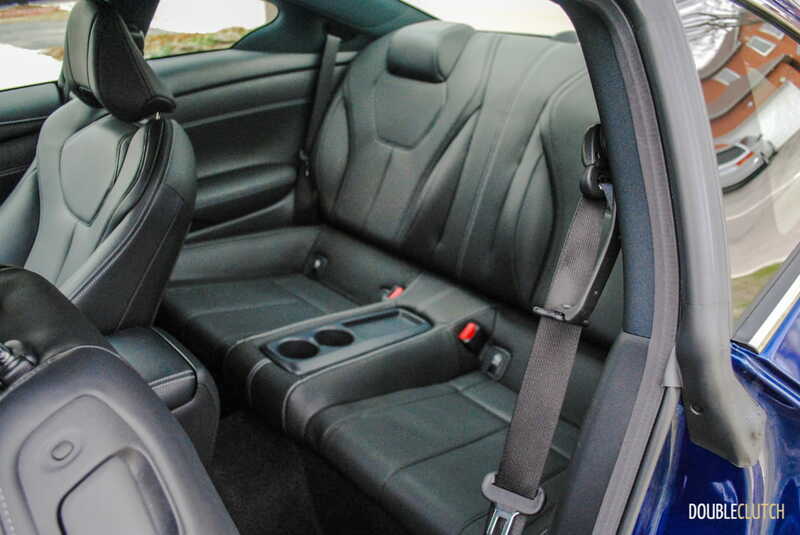 The seats up front use zero-gravity technology and great bolstering to keep passengers up front in comfort, but the rear seat is definitely a little tight for adults. 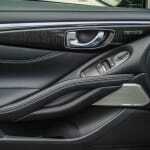 Worse yet though, is accessing the rear seat thanks to the front seatbelt holder. 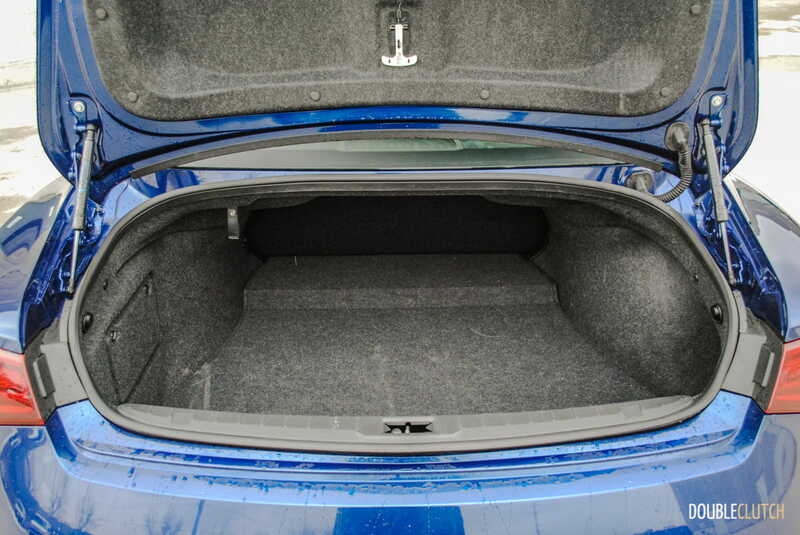 I did really appreciate the fact that the rear seat folds flat, allowing for a large pass-through to the relatively large trunk, making the Q60 fairly practical for hauling things around. 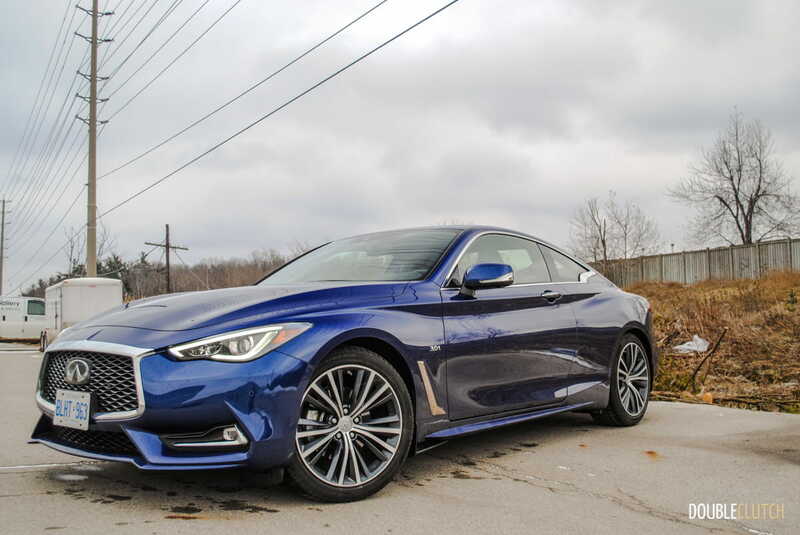 What really matters most with the new Q60 though is how it handles out on the road, and the car does not disappoint. 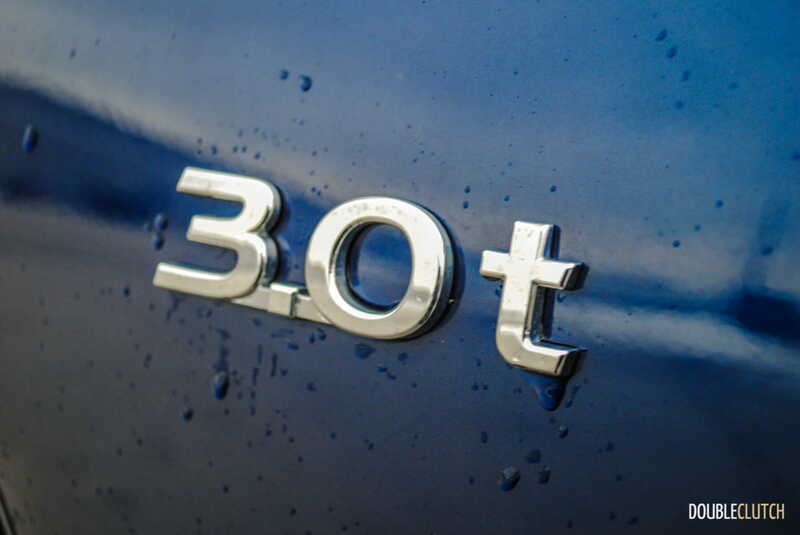 As the 300 horsepower version, my test car makes 295 lb-ft of torque at 5200RPM – not bad. 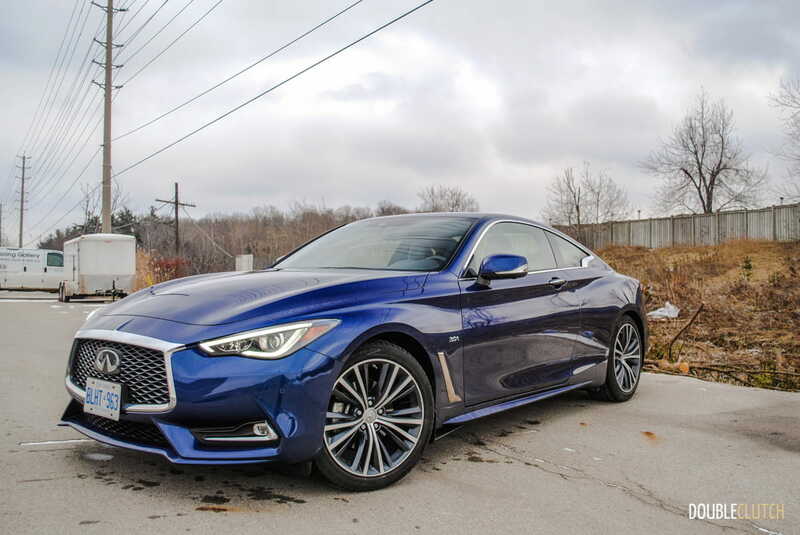 Power is clearly not everything though, and this Q60 feels extremely well balanced, responsive and comfortable to drive. 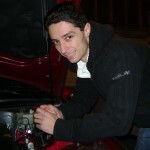 Throttle response is crisp, as are the shifts from the seven-speed automatic, the only transmission available in the Q. The brakes are phenomenal, and haul the car to a stop very quickly. 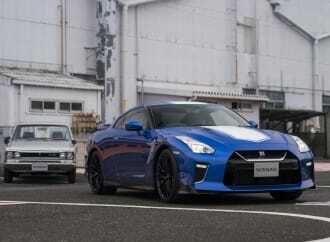 Handling is exactly what I would want from a car like this. 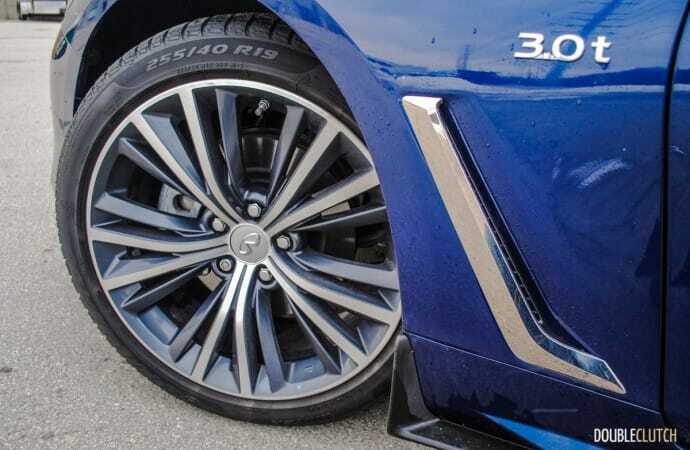 It’s not excessively harsh during regular driving, but take the car through some quick corners and it stays perfectly planted, the steering is well weighted, and the driver has total control at all times. The Q60 actually uses the latest generation of Infiniti’s Direct Adaptive Steering, which is fully electronic with no mechanical connection to the steering wheel. 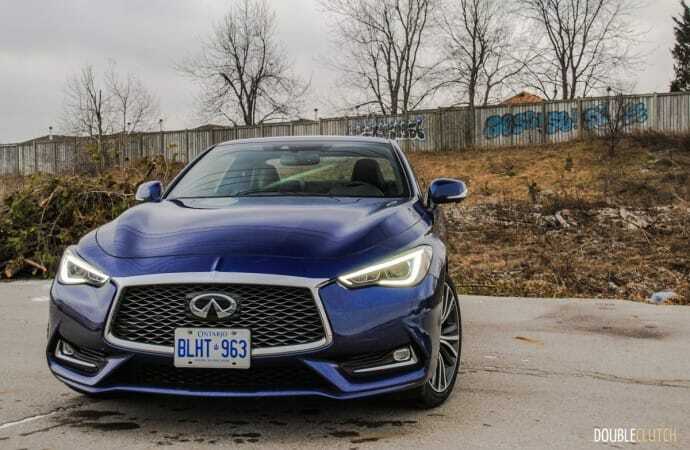 I was not a fan of the system when I first tried it a couple years ago in a Q50 (reviewed here), but they’ve obviously made significant improvements and it’s now a worthy feature of the car. Truthfully, the Q60 in this trim is pretty tame as far as sports cars go, but as a ‘personal luxury coupe’, to use a term that’s long since been retired, it really is a very pleasant and fun car to drive, even though the ride can get a little choppy at times. 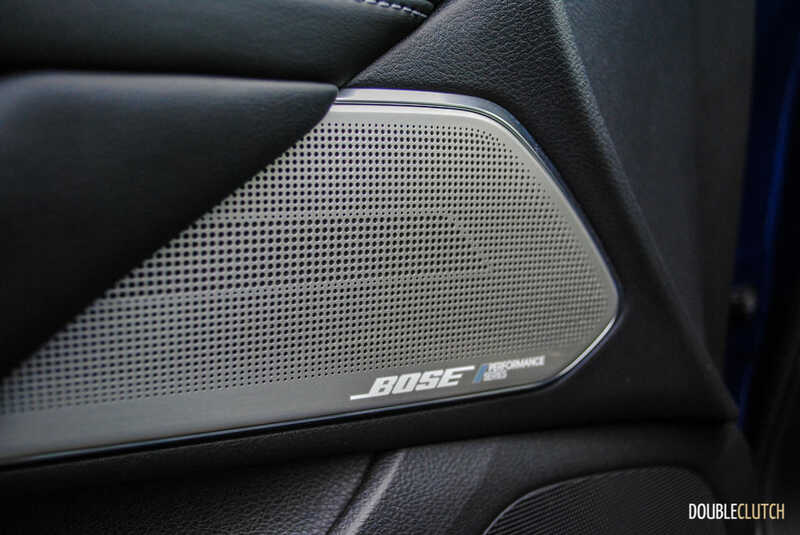 What I missed the most while driving the Q60 though is the signature sound I grew to expect from its predecessors. 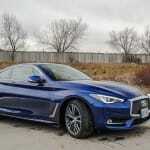 It’s simply not present in the Q60, and the lack of noise definitely takes some of the fun out of it. 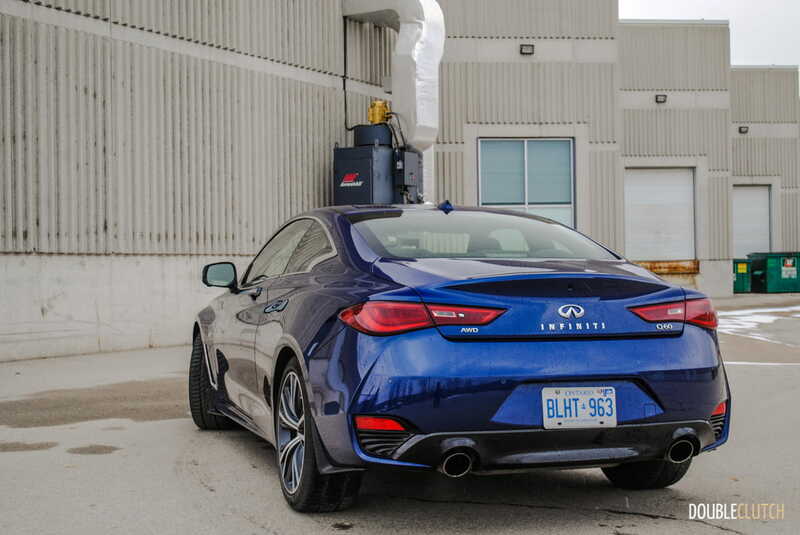 It’s also worth mentioning that the Q60 comes strictly in all-wheel-drive guise here in Canada, meaning it is a truly year-round capable car. My tester was equipped with some high ticket Pirelli SottoZero high performance winter tires, and while the extent of my winter driving this week was a couple centimeters of snow early one morning, the car handled the slippery surface with enough grace to leave me confident in its ability to handle much more. Driving with a relatively conservative right foot, I kept my fuel economy down around 11.2L/100km, which is fairly reasonable for an AWD V6 car in the middle of January. 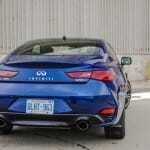 The new Q60 does, however, require a steady diet of premium fuel to feed those twin turbos. 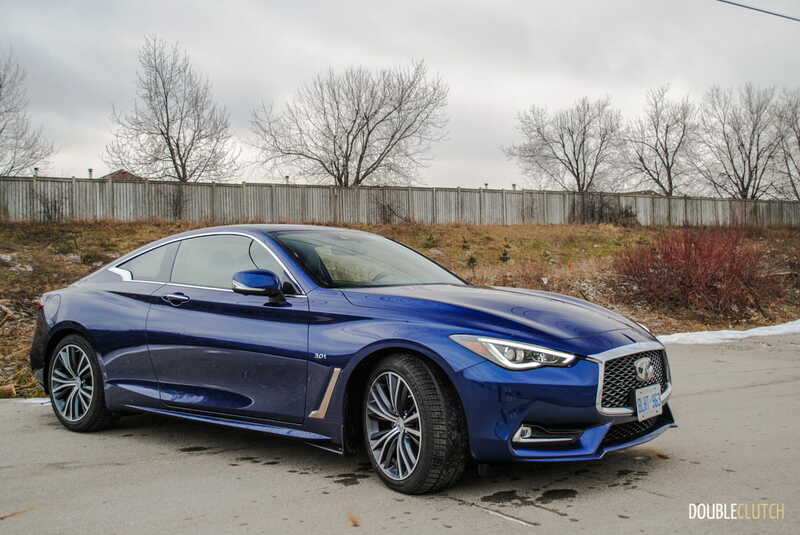 At the end of my week with the 2017 Infiniti Q60 3.0t, I came away quite impressed. It remains by far my favorite Nissan/Infiniti product, one of the few proper grand touring cars available at this price point today, and the only Japanese offering. 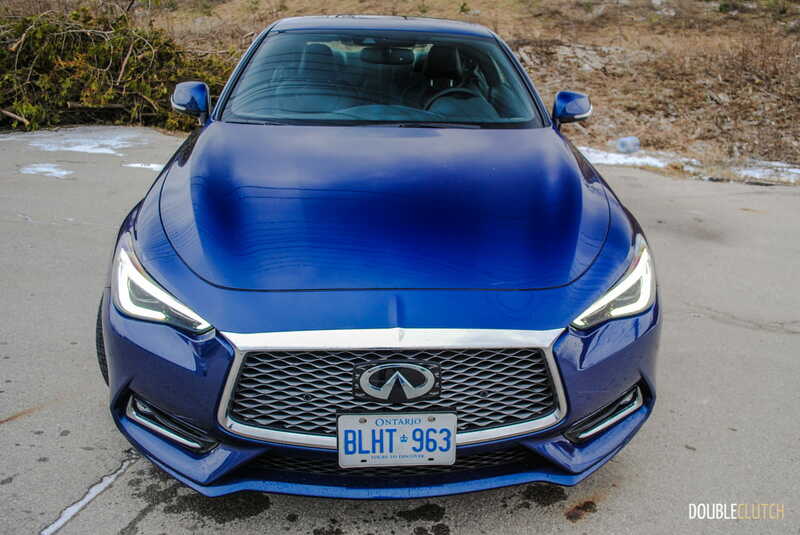 That said, it’s not exactly cheap, and at the prices the Q60 commands I’d have a pretty long list of cars, such as the Cadillac ATS Coupe, Mercedes C 300 Coupe (reviewed here), and BMW 4-series. 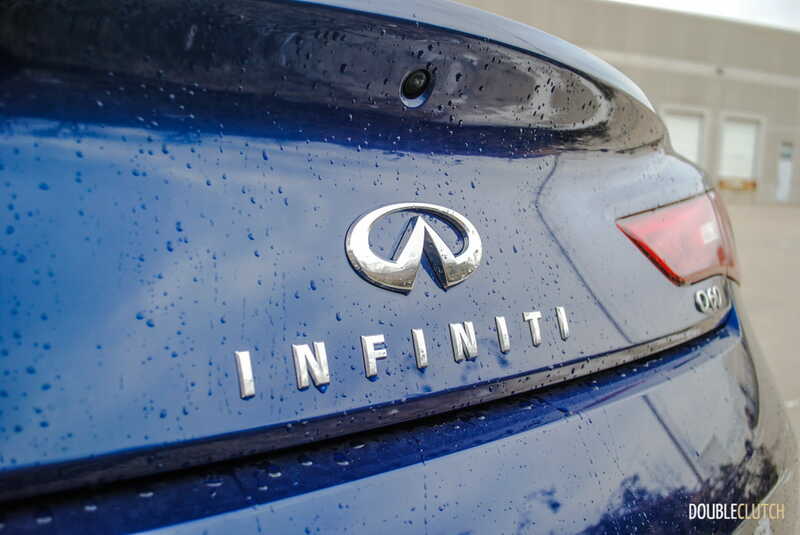 At the end of the day, it’s pretty difficult to look away from the gorgeous lines of the latest from Infiniti.